Post it/ Appunti per non dimenticare articoli, blog ecc. ecc. | Immaginimmaginario. 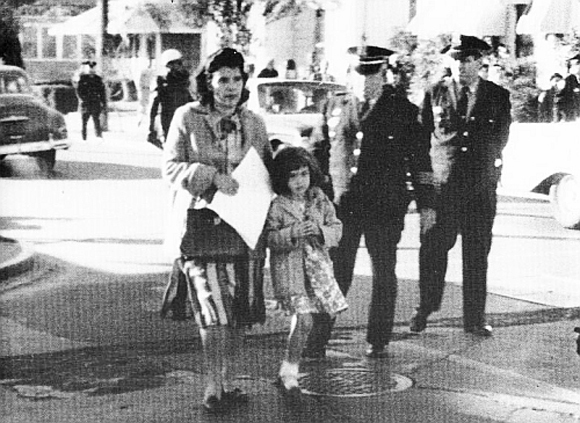 A half-century has passed since Hannah Arendt’s Eichmann in Jerusalem was first published. Yet somehow we can’t escape it. Even today historians of the Final Solution do battle with her misguided thesis that Adolf Eichmann, the cold-blooded engineer of the Nazi killing machine, was himself but a cog in it, a self-deceived simpleton who made evil seem banal.1 And her cavalier criticism of Jewish leaders who found themselves forced to cooperate with the Nazis in the expropriation, expulsion, internment, and even extermination of their own people still provokes outrage and rebuttals. As sometimes happens in the world of ideas, it is those who think least ofEichmann in Jerusalem who keep it alive by dragging its author out for what is by now ritual trial and conviction. This is how the book survives. Che Garibaldi fu ferito ad una gamba lo si è sentito dire fin da piccoli e ogniqualvolta si pensa al periodo storico identificato con il nome di Risorgimento si fatica a non incappare nell’orecchiabile melodia. The Holocaust Visual Archive collects the images and afterimages of the Holocaust disseminated in the vast landscape of visual culture, at the intersection where pop culture, cinema, memorial culture and modern art meet. Film sequences and posters, tv shows, book and magazine covers, graphic novels, comic books, museum brochures, advertisement, contemporary art and photography etc. are gathered in the archive. Our aim is to collect and share materials for further studies and analyses on the visual heritage of the Holocaust in contemporary culture. Since the archive deals mainly with pop culture rather than with the high discourse on the Holocaust, disturbing and/or trivial images may appear occasionally: by no means do we intend to offend the memory of the victims. The Holocaust Visual Archive is updated (hopefully) on a weekly basis. Images will be removed upon request of the copyright holder where applicable. Suggestions, materials and other contributions are welcome. Please contact us in English, French, German, Spanish, Russian or Italian atholocaustvisualarchive@gmail.com. ” Ever since its invention in 1839, the photographic image and its steady evolutionhave shaped our experience of reality — fromchronicling our changing world and recording its diversity to helping us understand the science of emotion to anchored us to consumer culture. But despite the meteoric rise of photography from a niche curiosity to a mass medium over the past century and a half, there’s something ineffably yet indisputably different about visual culture in the digital age — something at once singular and deeply rooted at the essence of the photographic image itself. Though On Photography (public library) — the seminal collection of essays byreconstructionist Susan Sontag — was originally published in 1977, Sontag’s astute insight resonates with extraordinary timeliness today, shedding light on the psychology and social dynamics of visual culture online. Humankind lingers unregenerately in Plato’s cave, still reveling, its age-old habit, in mere images of the truth. But being educated by photographs is not like being educated by older, more artisanal images. For one thing, there are a great many more images around, claiming our attention. The inventory started in 1839 and since then just about everything has been photographed, or so it seems. This very insatiability of the photographing eye changes the terms of confinement in the cave, our world. In teaching us a new visual code, photographs alter and enlarge our notions of what is worth looking at and what we have a right to observe. They are a grammar and, even more importantly, an ethics of seeing. Finally, the most grandiose result of the photographic enterprise is to give us the sense that we can hold the whole world in our heads — as an anthology of images. 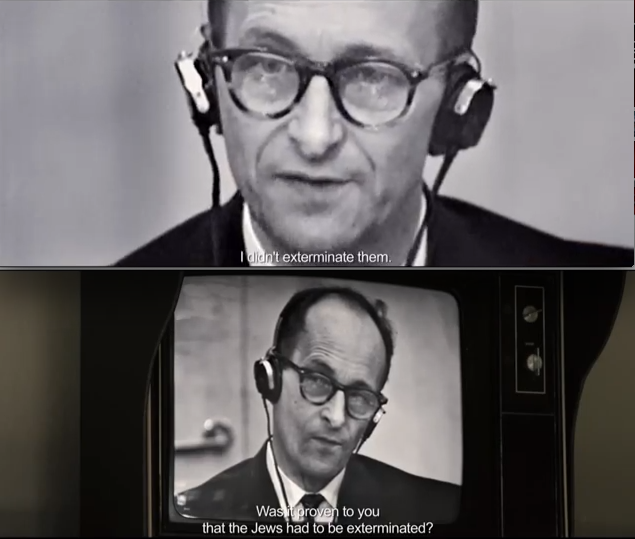 Von Trotta watches Hannah Arendt watching Eichman watch Holocaust films.